Doug Polk WSOP Giveaway surpasses $30,000 USD. Ryan Fee rails John Smith. Fernando Habegger PLO Bankroll Challenge, Upswing Poker Party details and more! It has been a thrilling week for Team Upswing at the 48th Annual World Series of Poker in Las Vegas! Just days removed from Doug Polk’s $3.68 million WSOP One Drop victory, our favorite poker pros are keeping busy in their effort to grow the game we all love. Here is a look at Team Upswing Current Events for the 2017 WSOP. Have We Mentioned The Giveaway? In perhaps the best PR move since Dunder-Mifflin Scranton Branch Manager Michael Scott inadvertently gave five Golden Tickets to Blue Cross Pennsylvania, “MTT Pro” and three-time WSOP bracelet winner Doug Polk has put himself on the hook for roughly $30,000 in Giveaway payouts to be spread among dozens of Upswing fans once the Series concludes. Any individual can enter up to eight times for a share of Doug’s Giveaway cash, which will total 2% of his net WSOP 2017 profit… with the Main Event still to play! 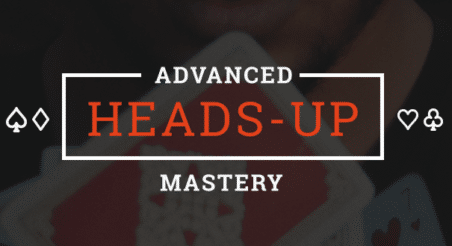 Doug will be focusing much of his attention this coming week on YouTube as he welcomes fellow Upswing Poker coach and Tournament Master Class instructor Pratyush Buddiga for a 1-on-1 conversation this Sunday at 6:00pm local time (PST). The YouTube and Twitch Poker record holder will then join “Papi” Joey Ingram live for an exclusive Poker Life Podcast episode this coming Monday at Noon, followed by a Tuesday segment with German superstar and $22 million live poker tournament winner Fedor “CrownUpGuy” Holz. PokerGO live stream viewers were in for a treat Friday night as 70-year old United States Army war veteran John Smith advanced to the Final Match of the $10k WSOP Heads-Up championship. He was eventually bested by 22-year old Spanish star Adrian Mateos, but still took home roughly $200,000 USD in profit. Team Upswing Poker high stakes strategy analyst and frequent Live At The Bike guest Ryan Fee was on-hand Friday to show support and respect for his namesake, who has gained a loyal following at this year’s WSOP. Upswing Poker Pot Limit Omaha specialist Fernando Habegger (Follow on Twitter: @JNandezPoker) is already up 35 buy-ins after just one week of his PLO Bankroll Challenge. The Great Game of PLO has spread worldwide in 2017 thanks to the efforts of Poker Life Podcast host Joey Ingram, Fernando, and thousands of players across the globe who insist on being dealt four cards. What would a modern-day World Series of Poker be without fun get-togethers alongside your favorite high profile pros? On Friday, July 7th, the 2017 Upswing Poker Las Vegas Party will take place at the Surrender Nightclub inside the Wynn Hotel & Casino. All the best to our Team Upswing collaborators and friends who are competing in Las Vegas at the 48th Annual World Series of Poker this summer!